Motley Rice LLC, one of the nation’s largest plaintiffs’ litigation firms, announces that a jury in the U.S. District Court for the District of Rhode Island found defendants Davol, Inc. and C.R. Bard, Inc. liable for injuries suffered by plaintiffs Christopher and Laure Thorpe as a result of the negligent design of the Composix® Kugel® Mesh hernia repair patch and the failure to warn of the dangers associated with the patch. Motley Rice LLC, one of the nation’s largest plaintiffs’ litigation firms, announces that a jury in the U.S. District Court for the District of Rhode Island found defendants Davol, Inc. and C.R. Bard, Inc. liable for injuries suffered by plaintiffs Christopher and Laure Thorpe as a result of the negligent design of the Composix® Kugel® Mesh hernia repair patch and the failure to warn of the dangers associated with the patch. Represented by Motley Rice attorney Don Migliori and co-counsel Ernie Cory of Cory, Watson, Crowder & DeGaris, P.C., the plaintiffs were awarded $1.3 million by the jury for personal injury damages and another $200,000 for loss of consortium. The case, Christopher Thorpe and Laure Thorpe v. Davol, Inc. and C.R. Bard, Inc., was the second case to go to trial out of thousands of cases filed against Composix® Kugel® Mesh hernia patch manufacturer Davol and parent company C.R. Bard in MDL No. 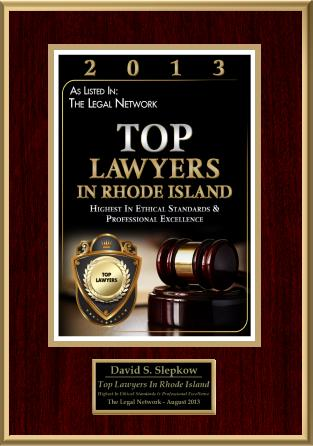 07-1842 ML, Rhode Island federal court’s first consolidated multidistrict litigation (MDL). The verdict comes after a Rhode Island jury found the same defendants negligent in the design of the hernia patch in the first tried case (In Re: Kugel Mesh Hernia Patch Litigation, MDL Docket No. 1842, No. 07-1842, John Whitfield v. Davol, Inc., et al., No. 07-1918, D. R.I.). Before Chief Judge Mary M. Lisi, it was argued that Mr. Thorpe suffered severe internal injuries caused by a broken plastic ring on the hernia repair mesh, including an abdominal wall abscess and fistula. Mr. Thorpe’s injuries required him to undergo multiple surgeries to repair the damage caused by the defective hernia patch, injuries from which he continues to suffer due to the serious nature of the physical damage caused by the patch. The jury found that the defendants proximately caused Mr. Thorpe’s injuries by failing to provide adequate warning or instruction for the hernia repair patch and acting unreasonably in designing the patch. The jury also found that the defendants’ negligence proximately caused Laure Thorpe to lose the consortium of her husband as a result of his injuries and subsequent physical and emotional suffering. Between December 2005 and March 2006, specific lot numbers of defective Composix® Kugel® Mesh hernia repair patches were recalled after it was found that the memory recoil ring, which opens the patch, could potentially break under the stress of placement in the intra-abdominal space and lead to chronic intestinal problems such as bowel perforations and chronic intestinal fistulae (abnormal connections or passageways between the intestines and other organs). Thousands of patients across the country ultimately filed lawsuits against Davol and Bard after suffering a wide array of serious medical complications allegedly caused by the defective patches. The lawsuits were eventually consolidated in In Re: Kugel Mesh Hernia Patch Products Liability Litigation (MDL Docket No. 1842, No. 07-1842, D. R.I.) in 2007. The two remaining cases ((MDL Docket No. 1842, No. 07-1842, D. R.I.) selected for early bellwether trials in the federal Composix® Kugel® hernia patch litigation are scheduled to begin in November 2010 and January 2011. 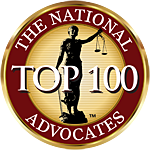 Motley Rice LLC is one of the nation’s largest plaintiffs’ litigation firms. Motley Rice attorneys gained recognition for their asbestos lawsuit work, the State Attorneys General in their landmark litigation against Big Tobacco, and the 9/11 families in their groundbreaking lawsuit against terrorist financiers. The firm’s attorneys represent individuals that have been injured by pharmaceutical drugs, defective medical devices, medical malpractice and nursing home abuse and neglect. In addition to serving as co-lead counsel and liaison counsel in the Composix® Kugel® Mesh multidistrict litigation, the firm’s attorneys also serve on the MDL plaintiffs’ steering committee for litigation involving the Avandia®, Medtronic, Inc. Sprint Fidelis® lead, NuvaRing ®, Trasylol® and Zicam® MDLs. Motley Rice is headquartered in Mount Pleasant, South Carolina, and has additional offices in Connecticut; Washington, D.C.; New York; Rhode Island; and West Virginia. 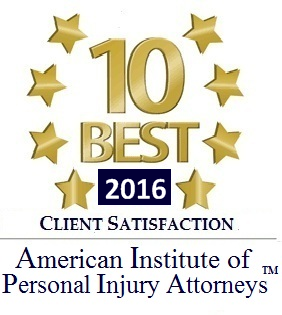 For more information about Motley Rice LLC or the Kugel Mesh lawsuit, contact Motley Rice attorney Don Migliori (MA, MN, NY, RI) at +1 401.457.7709 or visit http://www.motleyrice.com/medical. Coming from the article I can tell you know what your writing about. Thank you for sharing this quality information. Please post a number similar articles regarding the same topic.